The term Network Monitoring describes the use of a system that constantly monitors a computer network for slow or failing systems and that notifies the network administrator in case of outages via email, pager or other alarms. Some extend this definition to include not only monitoring but also monitoring the performance and usage of a network. There are very few businesses of today that does not use a network of some kind. Network monitoring is about maintaining the overall integrity of the network. The components of the network need to be monitored to make sure they are working properly. Involving, checking on both the hardware and the software that help make up the functioning network. With proper network monitoring, problems can be spotted early on and steps can be taken to correct issues before they have a chance to cause major problems. The thing to remember is that this process is all about taking good care of one of your core resources for making money. 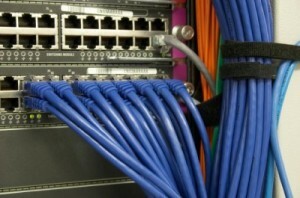 You want to make sure all the components of the network are functioning at their most efficient levels. Setting up and following a regular strategy of network monitoring and maintenance will help you achieve this goal and keep the level of efficiency and productivity at a reasonable level.